While the primary focus of my work is with The Biblical Museum of Natural History (don't forget to book a tour if you are coming to Israel! ), my next publishing project is a book about rationalist Judaism. Originally, the planned title was going to be Rationalist Judaism: Its Nature, Decline and Rebirth. However, it has come to my attention that some people unfamiliar with this project think that it is about a different form of Judaism than Orthodox Judaism. Therefore, I think it's important for the title to clarify that it is about distinguishing between two approaches within Orthodox Judaism. Accordingly, I am toying with titles such as One Judaism, Two Religions: Rationalism versus Mysticism. But I am open to suggestions! The plan is to divide the book into two parts. Part One will be a lengthy overview of the entire topic, similar to the lecture on this topic that I have delivered at many synagogues. It will include a brief synopsis of the topics in part two, as well as a brief review of the of issues discussed in Menachem Kellner’s important work Maimonides' Confrontation with Mysticism. It will also include an appendix on the topic of the role of belief in Judaism, which I have already mostly written. I would welcome suggestions regarding what material to include (and not to include!) in the book. I would like it very much if you included a part III which discusses the broader social implications of these two types of Judaism. It isn't just a theoretical discussion and it's important, I think, that you link the theory with the reality on the ground. It would be valuable to document the connection between the two versions of Judaism and the differing socio-economic groups of orthodox jews today, in particular how the rejection of science, logic, secular culture and even rational political expectations has factored into the growth of the more extreme sections of the haredi and religious zionist world. I'm not joking at all, nor seeking to give you an opportunity to merely bash or criticize certain groups. Rather I think that a book of this sort would miss a golden opportunity if it didn't follow through and deal with the implications of the first two parts. Kellner started to do so in his conclusion but it felt rather rushed. A proper treatment is valuable - anyone seeking to make value judgements about the two types of judaism should also consider the concrete real world implications that result from the two world-views, and not just the philosophical or historical distincitions. I'm thinking of including that material in the other book, on Orthodoxy. How about "Rationalism in Judaism"? I applaud your intention to publish a book on your rationalist viewpoint. I would change the proposed title, however to "Rationalist Torah (or Halachic) Judaism: its nature and possible rebirth". Rationalism has not been prominent among traditional Jews except in certain circles and certain time periods. I don't know if there is a current revival since the commenters on this blog who have similar views as you may constitute only a very small fraction of Observant Jewry. Of course, there are also those who do not participate in this blog who can be considered Rationalists, but they, too, are relatively few in number. What has changed is the advent of the internet that makes such views known to others which may generate more adherents. In any case, I await the publication of the proposed book. Though I do wish that beyond the very real conflict between Rationalism and Mysticism, people would also focus on the first way that came before those two: Peshat in the relationship between God and humanity. i would like you to evaluate the work of the rationalist rishonim. For instance, to what extent did the abandonment of Aristotlean philosophy and the rise of modern science change the rationalist project. I think it would be fitting to include some discussion about the Rabbinic reception for the Copernican model of the Solar System. This is pretty basic regarding the Rationalist approach. For the book to be effective and educational to all Orthodox Jews, I think it is very important to control the tone of the book (best way is to have a more mystical-leaning colleague proof read it). Since you yourself lean heavily towards the rational side of Jewish thought, sometimes your writings come off as a tad arrogant and dismissive of the mystical ideas. You have often in the past, been very dismissive of ideas combing mystic and rationalist thought with attitudes such as "yeah.. riiight" "come on.." etc. Albeit in your published works you do avoid these kinds of comments for the most part, for this next book, I think it is critical to avoid even the slightest hint of sarcasm, elitism, etc. Each side of the coin should be presented based on their own sources, and both discussed as equally possible in terms of the truth. Now, I happen to be rationalist leaning myself, and think some things written and thought of on the mystical side of things to be almost to the absurd. But if you ever want even the chance that this new book may influence those buying kabbalah knives, ruby necklaces, believing Og was the golly green giant, etc. than you MUST respect their side of things and let them decide for themselves if their approach holds up against truth. Another KEY thing to include would be hashkafic revisionism. That is, rationalists learning classic sources to be more rational then they probably were, and the MUCH more common case of mystics learning rational sources as being mystical (Rambam talking about meta physics, etc). This should maybe be a separate section of the book (part 3). Then one will have read though the two sets of sources in context first, and then will clearly be able to see the intellectual dishonesty of trying to re-read the sources. I think it is definitely appropriate to speak about the rebirth of the Rationalist approach in Israel, at least. The modern TANACH studies coming out of Yeshivat Har Etzion and the Michlelet Herzog is which use historical, archaeological and philological studies are flourishing with their annual summer TANACH study program drawing thousands of people and with new books coming out all the time, in English as well as Hebrew. In addition, after years of declining interest in the Torah and Science field, this is also undergoing a revival in Israel. The fact that bold Rabbanim like Rabbanei Tzohar, including Rav Stav and Rav Riskin are now longer afraid to say and act on what they think, even if hard-line elements don't like it is giving people who are unhappy with the increasingly hard-line anti-Rationalist approach shows that there is a public demand for this approach. It looks like a great book Natan. What I think might be worth considering is how many mystics read Rambam's Moreh Nevuchim and tried hard to work within his framework. Works such as the Tanya can be read as trying hard to work within the limits of a rational framework. I'm very excited about this book! Yasher koach, Rabbi Slifkin! Kol hakavod and much hatzlacha on the book, whatever it will be called. I don't like the title contrasting rational vs mystical, though they're often used as opposites on this blog. What you really want to present is the difference between critical thinking and gullibility (or emuna p'shuta, depending on your hashkafa). You're mixing up "rational" with "rationalist." No, I understand the way the terms are used on this blog and similar academic discussions. I just don't think they will be properly understood by the larger audience you could reach with this book. A clear presentation of these ideas is very much needed in the Jewish world today, and you want a title that is strong and clear. Perhaps you should call it "rationalish". Y. Ben-David, I'm very pleased to hear of 1000s of attendees of the Gush summer Tanach study programs. I am still uncertain if a critical mass of rationalist thinkers has been reached (i.e., enough to make it self-sustaining). In any case, I see a polarization into rationalist and mystical camps. Both are growing, but the mystical Hareidi camp may be growing faster. The rationalist ideology, however, includes Talmud as well as Tanach. Both are subject to objective type analysis while maintaining the reverence for both aspects of Torah, coupled with a commitment to halachic observance. My impression is that the Gush people are much more prone to a rationalist treatment of Tanach, but are more wedded to traditional (Rishonic and Brisk) readings and interpretations in Talmud. However, that impression is based on past history, the current rashei yeshiva may be more accepting of 'academic' approaches to Talmud study. I don't know enough to comment on the content of your writing, but I would suggest that you use a term other than "academic" in this context. I (and I assume many others) associate the term "academic" study of something to be a secular approach - where you discuss the text as a matter of history and sociology, where the student is isolated from the subject under discussion. Any Orthodox Jewish study of Talmud and Tanach is going to have a context of "this is the foundation of the halacha we are all supposed to live by", which by definition, means it can not be strictly "academic". This context would be equally valid for either a rationalist or a mystical approach to the study. 1) Relationship between RJ and Haskalah. Did the conservative Haskalah = RJ? If not, how not. 2) Medieval RJ (and a lot of non-RJ too) is based on outdated science and philosophy. What would a new RJ look like. E.g. 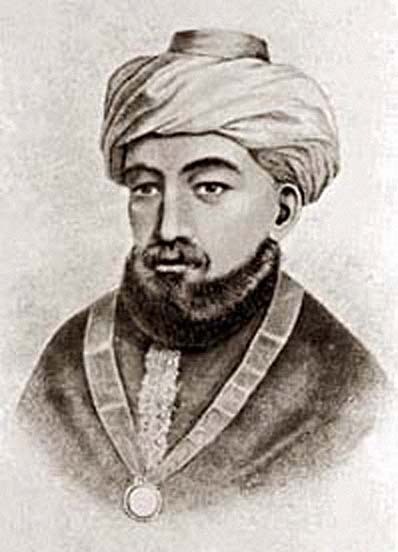 does the Rambam's description of Olam Habah, prophecy, souls and angels, which were heavily influenced by his philosophical outlook, need to change or have a modern RJ equivalent? 3) Relevant to #2, if the classic RJ explanations fail, does that mean that Judaism is inherently mystical? On the title, I would explicitly include either Orthodox or Traditional, as someone suggested above, Torah to make it clear that this is the form of Judaism that you are discussing. If you want to jar people you could even say something about Rationalist Torah True (tm) Judaism :). One more thing: I'm against the "two religions" title. Like it or not, Kabbalah and mysticism are part of the same religion. And I was going to note, that the "two whatever" in the title is extremely provocative. R. Slivkin has a lot to contribute. Being provocative is counter-productive. I think the title, "One Judaism, Two Religions: Rationalism versus Mysticism", sounds a little too similar to the popular book "One people, Two Worlds", a dialogue between a Reform Rabbi and an Orthodox Rabbi. How about using the title, "Worlds in Collision: Rationalism vs Mysticism", which is the title you use for your lecture on this topic? If you're writing about Orthodox Jewish Rationalism, it's self-understood that you'll describe it's nature. So perhaps The Decline and Rebirth of Orthodox Jewish Rationalism? The use of Orthodox Jewish as an adjective avoids implying that the two are separate religions, as opposed to different approaches within the same religion. IMHO, "Two religions" is much worse than "Rationalist [possibly non-Orthodox] Judaism". How about something neutral: "Heart of Wisdom - Rationalist approach to Torah/Orthodox Judaism - Its nature, decline and rebirth"? I would like you to exapnd on the difference between the purpose of keeping mitzos (including talmud torah) according to the rationalist hashkafa and the purpose according mystical hashkafa. Also, maybe trying to answer the question whether rationalist judaism is sufficient as a hashkafa or do we always need to latch on to mysticism in some aspects would be interesting. A) "Worlds in Collision: Rationalism and Mysticism in Jewish Thought"
B) "Rationalism vs Mysticism: Schisms in Traditional Jewish Thought"
C) "Reclaiming Rationalism: A Defense of Traditional Jewish Thought"
D) "Rationalism Restored: Defending Jewish Intellectual History from Religious Revisionism"
"Worlds in Collision" is already taken and I don't think that R Slifkin would want any association with that other book. I agree including "Traditional Jewish Thought" in the title. I don't think that you should avoid any topics, at all. Those who are more or less on similar ground as you, will appreciate your analysis, and the others will disregard at the best, or defile it. A slight change, but I believe important one, to your suggestion: One Judaism, Two Approaches: Rationalism versus Mysticism. Or to emphasize the differences: One Judaism, Two Opposing Approaches: Rationalism versus Mysticism. After all, it is one religion. It doesn't make sense to say One Judaism, Two Religions. Is it possible to make a contribution to this project? As other commentators have already pointed out, don't use the term 'two religions', it's problematic from the point of view of accuracy, jewish unity, and tone. I would advise a more sober and inclusive title, something which conveys the idea that The Jewish Tradition is a multiplicity of voices. How about - 'Rationalism vs Mysticism - Competing Traditions within Orthodox Judaism'. I suggest that you provide some contextual analysis - particularly on how the strength of anti-rationalist Judaism is related to the strong influence of Christianity (a decidedly other-worldly religion) as the dominant religious environment in Europe. Much of the distortion in current Chareidi Judaism is due to this influence, and Chareidi education does not give much critical ability to allow such external influences to be identified and avoided. Make sure you show that the rationalist v mystic divide is evident as early as the mishna period, and is also prevalent in other religions and in people's viewpoints generally. These are two universal templates that apply to all men, times and places. @Y. Aharon: Is RJ to be identified with the academic study of Judaism? I don't think so, but maybe that needs to be addressed in the book. "Lost and Found: The Return of Rationalist Judaism and Its Clash with Mysticism"
David, I am not endorsing what would popularly be called an academic study of Judaism since that could imply a deconstruction of the basic books of the religion. I certainly don't mean an endorsement of biblical criticism which I regard as largely fictional reconstructions. I deliberately put 'academic' in quotes so as to imply an introduction of textual, historical, social, and physical realism into Talmudic studies rather than the attitudes of a secular or non-halachic academic. A rationalist approach, to my mind, means to consider the Talmud as a human creation that contains various errors - including questionable derivations from the Torah and Nach. The authority of Talmudic decisions is, in this model, based on its acceptance by generations of Observant Jews rather than some claim to inherent correctness and truth. What R' Natan calls 'mystical' includes, in my thinking, propositions such as the Talmud and Rishonim are necessarily correct in their understandings, derivations, and arguments - we can only hope to come to an understanding of their positions. I am therefore comfortable with reaching understandings of Tanach that may conflict with traditional teachings as long as halachic observance is not thereby changed. Y. Aharon: Yes, I understood your meaning. Let me make my question more precise. The hagaddah contains a famous contradiction: The evil son is castigated for saying "to you" (Lachem) while the wise son likewise says "you" (Etchem). You will find a million Sevaras to answer. Or you can take the academic approach and realize the the original source for the Haggadah actually has the wise son saying "us" (Otanu). Does rationalism mandate taking the second approach? Or does it allow for the creative sevara without concerning ourselves with such "balabatish" answers as "there was actually a textual corruption"? David, your specific example deals with midrashic material. I don't believe that it is necessary to ferret out the original text in order to appreciate some of its content. In other words, it is perfectly consistent with the aims and methods of the author(s) of the midrash to apply such methods in interpreting them or resolving some ostensible problems. Original authorial intent is not particularly germane, just as it isn't for another famous Haggadah citation, "...what did Lavan the Aramean seek to do to Ya'akov, our forefather? Pharoah only decreed (killing) concerning the males, but Lavan sought to eliminate all. As is written (in the Torah), 'Arami oved avi..' (The Aramean, i.e., Lavan, sought to destroy my father)". However, the more evident and grammatical reading of that phrase is, "My father (Ya'akov) was a 'doomed' Aramean..". The latter reading destroys the basis of the midrashic interpretation, but that interpretation still has meaning. Had Ya'akov remained in Aram among kindred people, it is likely that his children would have assimilated and forfeited their future. In sum, rationalism, in my view, doesn't imply that only the original text matters or that non-literal translations have no value. What is important for a rationalist is to counter the argument that the aggadic interpretations in the Talmud are the only way or even the primary way to read the Torah (Tanach). Y. Aharon, I believe that you missed (or evaded :) my question. I'm not asking whether Drash has value. My example was of retrieving the meaning of the Midrash itself quoted in the Hagaddah. Just because something is Drash doesn't mean that we can just automatically add Drash on top of it if we want to understand the original Drash. But, in any case, plenty of examples exist of the same kind of thing in halacha where either corrupted texts or mistaken meanings play a large role. Here is an example (although not so practical): It is apparent from the Gemara in Chelek that the Bavli did not know that Apikores refers to Epicurus and so engages in some folk etymology tying the word to "Hefker". In these and other situations, the typical traditional approach is to try to engage in Sevara and Pilpul to resolve the contradiction while the scholar will examine other pathways to resolution. The Berlin Rabbinical Seminary had experts in both approaches. Do you think that modern day rationalism demands the scholarship approach? David, Sorry that I got off on a bit of a tangent in responding to your question in the interest of outlining my own approach to midrashim. Your example is actually more complex than you indicated. The author of that Midrash used the language of the questions and answers in the torah, but scrambled them, i.e., the answers in the torah don't correspond to the listed questions, in order to create a certain narrative about different type sons. In fact, the question that our text of the Midrash ascribes to the wise son - including the word etchem, is the literal phrasing in the torah (Deut. 6:20). So, the current wording of the question in the Haggadah may actually be the original text. Either that or the author deliberately made the change to provide a contrast with the question of the 'wicked' son and someone later 'corrected' the text to make it correspond to that in the torah. In any case, I don't know that the 'original' text has been clearly established. My point is that an 'academic' approach may superficially dismiss Midrashim or midrashic interpretations with such observations as to the alleged original text. Care is required for a rationalistic approach to avoid becoming too dismissive of Midrashim and their interpretations based on textual, historical, or physical problems. Some of these 'odd' Midrashim have a significant point despite the problems. My example of the 'Arami oved avi' Midrash being one such case. On the other hand, plausibility does play a role in evaluating authoritative type texts. An example that I like to give is the Rambam's Mishne Torah hilchot Bet Ha'bechira 1:13, "Ha'mizbei'ach ain osin otoh ela binyan avanim gazit". Now this 'gazit' is in direct contradiction to an explicit verse in the torah "V'im mizbach avanim ta'aseh li, lo tivneh ethen gazit.." (Ex. 20:22). The Rambam, himself, uses that verse to forbid the use of a stone for the mizbei'ach that has been contacted by an iron implement (ibid1:15), In 1:14, he details how to find intact stones to build the mizbei'ach. How, then, could he require that the mizbei'ach be made of cut stone? Moreover the standard early commentaries (or Hasagot) don't mention anything about the gazit problem. The Raavad doesn't attack the Rambam for such temerity, nor does Rav Yosef Karo (Kesef Mishne) come to his defense. It seems clear that this word was not in the early manuscripts and is a copyist's error. In fact, there is, I believe, a Rome manuscript that omits the 'offending' word. Yet, there have been efforts to resolve the usual printed text that contains 'gazit' with the torah's prohibition of such hewn stones. I would assume that a rationalist approach would dismiss such efforts. Similarly, the true origin of the term 'apikores' is little germane to its definition. It is not literally Epicurean, i.e., a follower of that hedonistic philosophy. Ferreting out the likely source of some talmudic terms that have little or no effect on understanding how it is used seems to me a not very productive endeavor. In sum, I believe that careful distinctions must be made in a rationalistic approach to dismiss what seems clearly false and of no redeeming value, from things that may not be true but yet have value. Still talking past each other a bit. I think that everyone understands that the Drashot in general are not in line with the literal meaning of the Pasuk. Acharei Rabim Lehatos is interpreted to mean that you must follow majority rule, when the pasuk literally means that you should avoid following a "multitude" to do evil (almost the opposite). Again in the example Midrash, it appears that this is one of those cases where there were two versions of the Torah text. In that case, everything makes perfect sense and there is no question. My point again with Apikores was that it appears that the Talmud Bavli did not know what the word meant any more, as with many words of greek origin used in the Mishnah. I'll see if can find better examples. David, are you suggesting some otherwise unknown version of Ex. 23:2 that would rationalize the talmudic interpretation that runs counter to the evident meaning of the verse? By this I mean that the verse appears to instruct not to follow the majority (of the court) to pervert (the judgment), whereas the talmudic interpretation is to simply follow the majority - as you indicated. It is too facile, however, to invent different texts or different authors to account for some perceived difficulties. In this case, I treat the talmudic adage as being really based on reason. When there are differences in judicial opinions, how is a court ruling to be made? Following the majority is a most reasonable approach. The sages, I my view, offer the out of context biblical phrase, "acharei rabim lehatot" as an 'asmachta' (nominal support) to this logical ruling. In another context, the talmud treats logic as equivalent in authority to a biblical verse, "Why do I need a verse, it is logical". No invented text need be adduced to give the majority rule decision biblical force. Okay, Okay, I Won't Call It That! But What Kind Of Ram?